Institute for Duration, Location and Variables (Delve) was founded in 2009 by Ivana Bago and Antonia Majaca as a result of their collaboration in and around the Zagreb based Galerija Miroslav Kraljevic. Delve engages in discursive, exhibition and publishing projects that develop at the intersection of academic research, political and cultural theory, politics and the sphere of art production. Where Everything Is Yet to Happen is a long-term and collaborative project centered around the non-essentialist notion of community. It resulted in two large-scale exhibitions: Can you speak of this? –Yes, I can (2009), initiated and curated by Delve (Ivana Bago and Antonia Majača) in collaboration with Anselm Franke, Jelena Vesić, Nina Montmann, Ana Janevski, Erden Kosova and Vit Havranek & Zbynek Baladran, and the exhibition Exposures (2010) developed a as series of new productions with artists from the post-Yugoslav space and beyond and focusing on the political, social and economic trauma of the break-up of Yugoslavia. 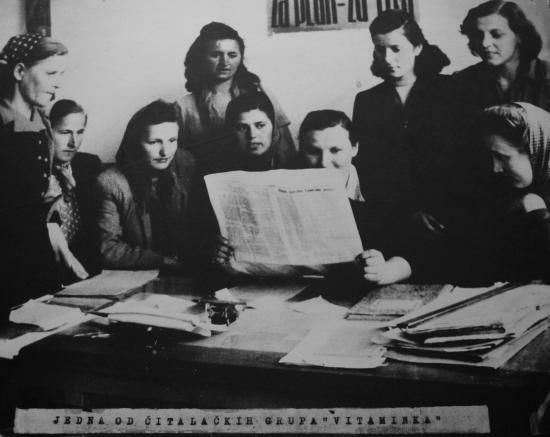 Removed From the Crowd involves research, self-organized education, exhibitions and publications, taking as its point of departure the legacies of the politicised artistic and intellectual practices of Socialist Yugoslavia, Eastern Europe and the Global South. Its first chapter Dissociative association was presented as a part of the exhibition Political Practices of (Post)Yugoslav Art at the Museum of Yugoslav History, Belgrade (2009), its second edition The Fate of Outer Planets as an exhibition and a walking lecture in Galerija Škuc, Ljubljana (2009), while its third chapter Dionysian Socialism, (Non)Action, Delayed Audience took the shape of an open research at Transitdisplay, Prague (2011). "Unexpected Encounters", the series of public seminars held in Zagreb over the course of 2011, resulted in the reader Removed from the Crowd: Unexpected Encounters, published by Delve in collaboration with BLOK. Delve initiated a series of self-organized education projects (Removed Pedagogies), conceived as critical interventions into the institutionalised art historical narratives and methodology. Other projects include Moving Forwards, Counting Backwards at MUAC, Mexico City (2012), And Then Nothing Turned Itself Inside Out, Kunsthalle Exnergasse, Vienna (2009), Neither from, Nor Towards, Art Pavillion, Zagreb, HR (2010), Stalking with Stories: The Pioneers of the Immemorable, Apexart, New York, US (2007), The Salon of Revolution, HDLU, Zagreb, HR (2008), Be a Happy Worker: Work-to-Rule, Galerija Miroslav Kraljevic (2008), Mutualities, Galerija Miroslav Kraljevic (2007) and many others. Delve is primarily supported by the Ministry of Culture, Croatia and the City of Zagreb, and is a member of Operation:City Alliance. Assistance: Ana Kovačić (Removed From The Crowd), Jelena Pašić (Neither From Nor Towards), Ana Kutlesa, Petra Krolo, Jelena Pasic (The Salon of Revolution, G-MK).